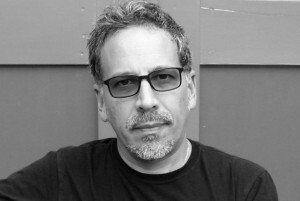 A native of Los Angeles and descendant of immigrants from Mexico and El Salvador, Prof. Rubén Martínez is a writer, teacher, and performer. He holds the Fletcher Jones Chair in Literature and Writing at Loyola Marymount University, and is artist in residence at Stanford University’s Institute for Diversity in the Arts. His publications include Desert America: A Journey Across Our Most Divided Landscape and Crossing Over: A Mexican Family on the Migrant Trail. A journalist with over two decades of experience in print, broadcast and online media, he hosted and co-wrote the feature-length documentary film about the first century after contact between Europe and the New World, When Worlds Collide, shot on location throughout Latin America and Spain, for PBS. He is the recipient of a Lannan Foundation Fellowship, a Loeb Fellowship from Harvard University’s Graduate School of Design, and a Freedom of Information Award from the American Civil Liberties Union.